Do you know how Virtual Assistants mark a new era of the Internet of Things App Development? Here we described the role of AI Virtual Assistant integration with IoT devices. Later, the addition of machine learning technology to the speech recognition equation has created a major breakthrough in the voice search landscape. The improved accuracy of ML algorithms, voluminous training data, and the introduction of the elements of personalization have added a touch of humanity to the voice recognition software space. Taking a big leap forward, the AI-powered virtual assistants like- Siri, Cortana, Amazon Alexa, and Google Assistant Now are able to understand the speech closer to 100% accuracy rate and making inroads into the consumer’s home with the high proliferation of Internet-enabled digital devices. Looking at the current speech recognition landscape, the voice-activated home speakers like- Google Home, Amazon Echo, Apple HomePod, and many more due to join the list are favored by the consumers and they like to have them in the living room, kitchen, and bedroom. Even, 20% of the user interactions on the smartphones will occur through virtual personal assistants, and the number will increase exponentially in the years to come. It signals a phenomenal relationship between IoT and virtual digital assistants. The changing consumer’s preferences are pushing the companies to integrate the AI virtual assistants in the IoT applications also called Artificial intelligence of things(AIoT). The ideal pairing optimizes the IoT app functionality and enables the IoT app leads the charge by planting their flag in millions of consumers homes. Still, remain, the answer to the question- how complementing the IoT apps with virtual digital assistants is a game changer. The integration of virtual assistants has blurred the line between home and the vehicles parked in the garage. By making the cars connected with the home’s Internet-enabled devices network, the car can be controlled remotely from the home just at the user’s voice command. With the logical extension of IoT ecosystem, the user sitting in the living room can start the car, lock/unlock the doors, turn on the AC or adjust the temperature, search for the restaurant and send the address to vehicle’s navigation system, and pretty more, in a hands-free way. Incorporating VA in the IoT app would increase the connected vehicle prominence in the world. For instance, Hyundai has extended Alexa’s voice capability beyond the four walls of the home where the users while sitting inside the home can ask Alexa to remotely start the car, adjust the temperature, and unlock the door. Also, Alexa inside the vehicles can stream the music, book the appointments, inform about weather conditions, and enable purchases for the motorists. 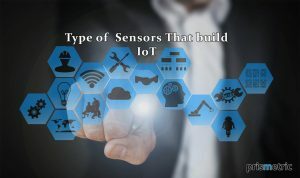 The IoT Applications are already connecting everything from people to processes to the objects to automate the tasks without human intervention. Controlling the objects from a distance with the natural language interpretation by the virtual assistants in the smartphone or smart speakers improves the coordination among smart devices. See how? The users inside the home can control the objects using smart speakers if they have, and when the users are outside the home, they can use a smartphone to remotely control and manage the household appliances. When the commercial virtual assistant on smart speakers coupled with speech recognition software on smartphones, the results will be amazing. It’s so because both smart devices are connected over the same network, which in turn, allow the smart objects to stay connected and communicate 24/7, and perform the functions intelligently. For instance, in the weekdays, every morning, the smart coffee machine starts brewing a cup of coffee as you stop the alarm. In the case, you have to move out of the station, you have issued a command to HomePod to keep the devices turn off. When you are coming back to the home at 1:00 in the night after a day, you have adjusted the AC temperature remotely with Siri on mobile. The smart AC communicate the same information to Alarm to start buzzing in the morning as you will arrive in the house in the night. 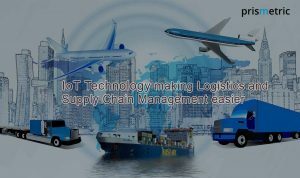 In this manner, the complete connection anytime anywhere improves the coordination among IoT devices, which delight the users and keep the abode eco-friendly. The touch interface has made the lives of elder people and people with visual impairment or mobility restrictions a bit easier, but still, they battle with screen readers, which has created a room for the easily accessible interface. The voice-responsive virtual interface is a great addition to such a community. The significant step towards virtual interface allowed the people with special needs to live independently, give their closed one’s peace of mind, and reduced the workload of caretakers. For instance, in the event of grocery orders, the virtual assistant can call or text on the people’s behalf to the caretaker. It can remind the people for medication intake and other scheduled activities. It can play music, turn on the TV, or read the new as the people desire. During an emergency, the assistant automatically places a call and help the disabled person to get the needed assistance just by speaking a simple phrase. The online shopping has allowed people to virtually search, browse, and buy the things they like to have. With voice-based personalized recommendations, custom notifications, and several pop-ups, the online stores have tried at best to provide the users with a touch of a human figure who is virtually helping them during shopping. Alas! The effort won’t pay off in full because the digital virtual shopping lacks interaction and communication. Here, AI-powered virtual assistants to the rescue. 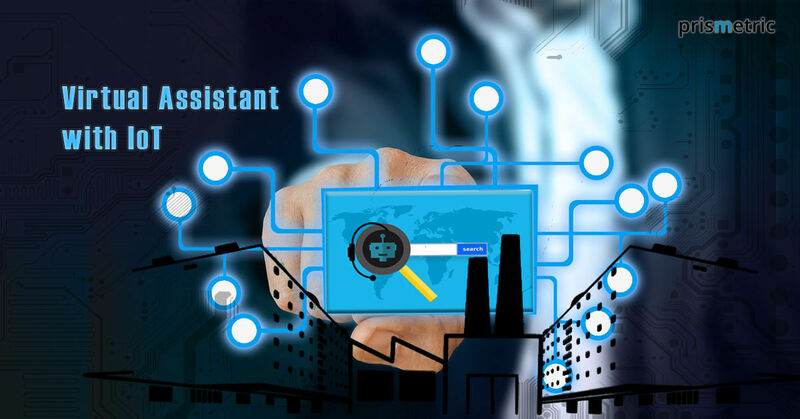 The virtual assistants search, browse, provide item details, order the items, reorder the items, manage the shopping list, and connect to the customers support as the users wish and command. The speech recognition and conversational interactions lead to hands-free and eyes-free shopping. The statistic draws a conclusion that voice technology is ubiquitous and keeping the voice strategy a focal point will definitely allow the businesses to offer an online shopping experience that’s wholly virtual, highly convenient, and makes the users happier. Not just the Millennials and Gen X, while the trend of shopping over is picking up the pace among every age group in every corner of the world. So, make voice the new touchscreen for devices in order to improve sales volume and revenue. Presently, whether people are traveling, sitting over the desk, or relaxing on their bed, you often found them glued to their mobile and digging inside it. Instead of getting into the human face-to-face conversation, people prefer to interact with machines or other people through tactical interfaces. Soon, they can connect, communicate, and perform even the sophisticated tasks just by talking into the air through virtual assistants. Everything from registration to login to the payment can be done over the voice. The voice of the users will become the next biometric identifier which makes the crucial credentials secure. For example, the user’s voice print is kept on the server, and every time when the user attempts to sign in or conduct the transaction, the user’s voice is matched with the voice print to authenticate the transaction. This voice-based authentication ends up the user’s reliance on the screens and ends-up the need of keeping the debit/credit cards in their pocket. Also, it will be a great help to the parents who are trying to curb the mobile addiction that’s unhealthy and potentially hazardous for their children. The IoT app development has revolutionized the way people, objects and processes get linked, listen, and perform actions. The automation of mundane activities has accelerated the IoT adoption, and the tech giants are continuously at pains to advance and incorporate the virtual digital assistant in every category of IoT devices. An enthusiastic entrepreneur, interested to discuss new app ideas, rich gadget tricks and trends, and admires signature tech business styles to readily embrace. He enjoys learning most modern app crafting methods, exploring smart technologies and passionate about writing his thoughts too. 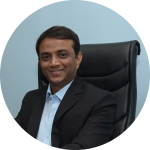 Inventions related to mobile and software technology inspire Ashish and he likes to inspire the like-minded community through the finesse of his work. 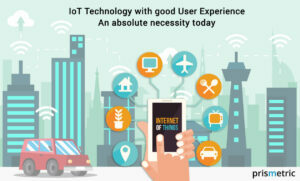 Why is IoT Technology with an emphatic User Experience essential today?